Adam Saxton is just a guy in a cube doing the work! Having worked with Microsoft Business Intelligence products since 2005, he mainly focuses on Power BI and Analysis Services now. He is based in Texas, and started with Microsoft supporting SQL Server connectivity and Reporting Services. Adam has worked with Power BI since before it was Power BI, on the support side and with the Power BI Product Team on documentation and the customer advisory team. In addition, he produces weekly videos for his Guy in a Cube YouTube channel. I started with Business Intelligence when I joined Microsoft back in 2005 in the support organization. My focus at that time was SQL Server connectivity and SQL Server Reporting Services. Over time, I became a lead for Reporting Services. I also had exposure to SharePoint and Analysis Services, which included Power Pivot. I learned a lot, while in support, not just about Business Intelligence, but about deductive reasoning and how to troubleshoot something. As part of troubleshooting, I would work with the source code frequently and learned how the products worked internally. When Power BI was first being worked on, I saw an opportunity to be one of the technical leaders on that from the support side. Most people were ignoring it as we weren’t getting any support volume on it. Call volume usually drives someone’s focus within support. I saw the whitespace and jumped on the opportunity. I quickly became the Power BI person on the support side and was able to build relationships on the product team. I started blogging and speaking in 2008. One thing I love about those activities is it helps to push you to understand the scenarios. It forced me to dig in more to understand what was happening. This happened when troubleshooting support calls as well. Reporting is an obvious passion as I’m heavily involved with Power BI. It is a big part of my life right now. It is exciting to see how far Power BI has come in such a short amount of time. And, more exciting to see where things will be in the next few years. Data in general is a passion as well. I love data! Data is the fuel of Business Intelligence. Related to that are Analysis Services and the SQL Server family. I’ve been involved with them for a while now. This includes data modelling, scale and performance. I really enjoy programming as well. .NET has been my focus on that front. I love being able to validate things through code. Power BI Embedded has fit nicely in this area as well. There are many in the Business Intelligence community that influence me. I really look up to Marco Russo and Alberto Ferrari. They are both very intelligent and really know their space. I always learn something from those two. I’ve enjoyed learning from Jen Stirrup as well. She has always offered me a different way of thinking and to look at a broader view of Business Intelligence as a whole. Some folks on the Microsoft side are Robert Bruckner, Adam Wilson and Kasper de Jonge. I’ve been fortunate to have worked alongside them over the years. Watching what James Phillips has done with the Power BI product has been amazing as well. I pay a lot of attention to what he is focused on and the direction he is trying to take Microsoft products. One of the biggest influencers, and mentors, in my life and on the technology side is Bob Ward. I worked with him in the SQL Support group. 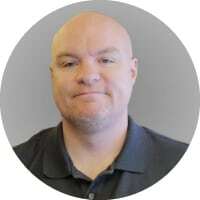 He is now on the SQL Server product team and is a giant in that community. He has showed me so much and has been like a brother to me. He was the sounding board I needed throughout my journey. I’ve been blessed to have him in my life. I also have other people that influence me from a marketing, life or YouTube aspect. Peter McKinnon, Casey Neistat and Gary Vaynerchuk have been huge influences on me over the years. Peter and Casey have influenced my YouTube productions. Gary has been a big influence from a marketing perspective and also how to think about things. His message also aligns with the Guy in a Cube brand. Just get stuff done (he uses more colourful words 😊). Go do! Dave Ramsey has also be a big influence from a finance perspective, as well as life. I love his mindset and outlook on life. I started speaking back in 2008. I’ve presented many full day talks as well as regular one hour sessions as various events including SQL Saturdays, the annual PASS Summit and other events across the globe. I’ve also enjoyed meeting people in the Business Intelligence space at different events. Whether in the expo halls, technology clinics I may be helping with, or just randomly in the hallway. I love hearing folks stories and what they are struggling with. I’ve been thinking about writing some books, but that is a challenge with Power BI as it changes so frequently. I think enterprise growth and scale in the cloud will be huge over the next year. There has been a big push on the self-service space for a while, and it is time to look more at the enterprise and how organizations can report on massive amounts of data. When you think of things like Spark, data lakes and unstructured data, there is so much that we need to be able to derive intelligence from. Predictive analytics and AI is another area that I think will see growth in the next year. How do products integrate these that make sense to the business analysis? This is a big challenge and something that will help drive industries to greater understanding and shift the landscape. Video is a huge part of my passion – YouTube specifically. Webinars fit nicely into the video area. I’m always looking for ways to collaborate in that space. I’m open to Podcasts as well. Podcasts are an interesting space and there can be a lot of value there. I pay the most attention to Twitter. I always say in my speaking sessions that Twitter is the best way to get in touch with me. Facebook works as well or guyinacube.com.